Send It In Jerome: Wherefore Art Thou, Ryan Zimmerman? Looks pretty formidable to me. But is there any question that Ryan Zimmerman is the biggest liability on that list? Don’t get me wrong, I love Ryan Zimmerman. He’s been the face of this franchise and the one semblance of consistent production through nearly a decade of Christian Guzmans, Ronnie Belliards, Nyjer Morgans, and Lastings Milledges. I couldn’t be happier that they signed him through 2020 this past off-season. At just 27 years of age, he’s practically the most experienced guy on the team outside of Adam LaRoche. You get the feeling that his impact on the Nationals will evolve into a Craig Biggio / Houston Astros type of situation where you can’t even reflect on how the team did during his tenure without talking about him. 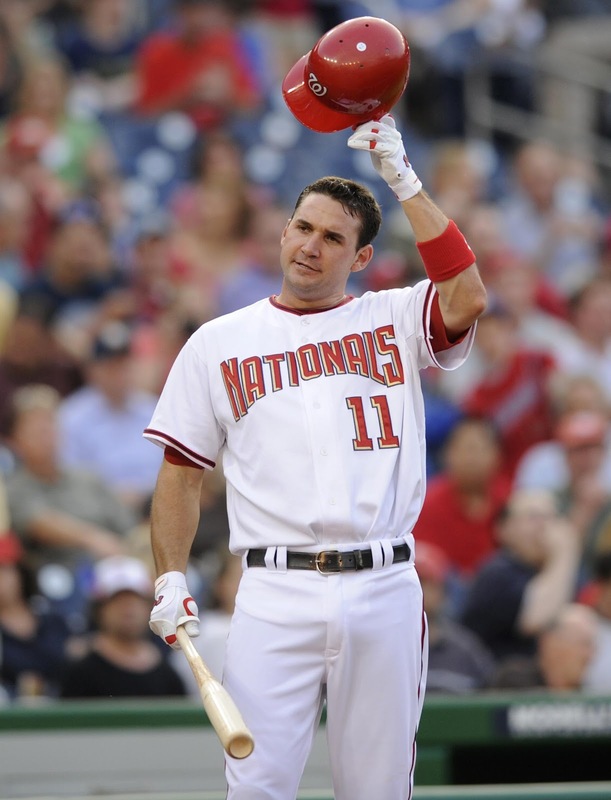 Ryan Zimmerman is Washington Nationals baseball. He has several more gold gloves in his future. I don’t know jack about Range Factor or Zone Rating, but he’s good for at least one standing ovation worthy type of human vacuum play per series. Unfortunately, 2012 has not been his season at the plate. He came into the year with a career .288 batting average, 0.6 RBI per game, and an AB per HR ratio of just over 25 over the past six seasons. None of those numbers are going to have him flirting with a triple crown, but you can at least justify keeping 173 hits, 24 HR, and 90 RBI in the heart of your batting order. However, he’s currently on pace to miss those totals by about 40 hits, 15 HR, and 25 RBI. He’s batting a paltry .229 with just 3 dingers and 22 rib eyes. His ground ball / fly ball ratio is much higher than at any other point in his career, which begins to explain why the number of doubles he’s hit is equal to the number of double plays he’s grounded into. Since I don’t know Zone Rating for defense, I certainly don’t know where to look for all that Pitch F/X for batting, but it really feels like he isn’t seeing the ball this year. His strikeout rate isn’t much different than it has been over the course of his career, but he seems to be swinging at more bad pitches and failing to capitalize on fewer good ones than usual. You expect the occasional laughable swings from 19 year old Bryce Harper, but I can’t even tell you how many times this season a Zimmerman at bat has ended with me shaking my head in disgust because he looked so hopelessly lost. By no means am I suggesting they bench him or demote him or anything crazy like that. I just think it’s about time someone starts asking why he’s still batting third. In case you’ve been living in denial for the past decade, the third spot in the line-up is where you put your best power hitter. Albert Pujols, Joey Votto, Ryan Braun, Josh Hamilton, David Wright, Joey Bautista, Andrew McCutcheon, Giancarlo Stanton, Adam Jones, and Miguel Cabrera all batted in the third spot for their respective teams last night, and they’ll most likely all be starting in this summer’s most popular exhibition game, seeing as how that group is averaging 15.3 HR this season. Yet Davey Johnson insists on leaving Ryan Zimmerman in the three hole. To put his stats in a different but eye-opening perspective, the combined force of Strasburg/Gonzalez/Zimmermann/Jackson has batted .227 with 2 HR so far this year. Suffice it to say, the Brewers pitching staff isn’t within 1 home run and 2 batting average points of Ryan Braun. I realize the Nats line-up hasn’t been at full strength at any point this season (and won’t be again until Ramos presumably comes back next April), but why not try out a 3-6 of Morse-LaRoche-Desmond-Zimmerman for a while? Or a 2-6 of Desmond-Harper-Morse-LaRoche-Zimmerman? Sometimes all it takes is that shake-up to get a guy going. And let’s face it: he’s got nowhere to go but up.